Closeout. 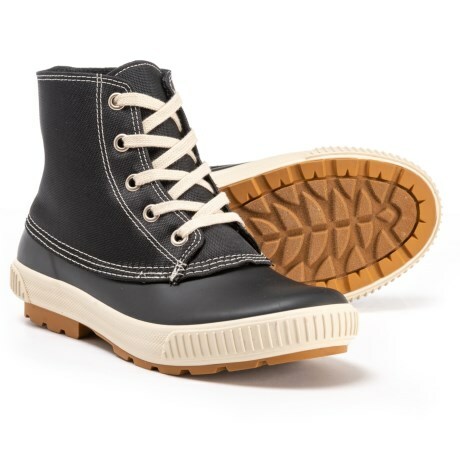 Navigate slushy streets and snow fields in style with the Cougar Dart duck boots, made of waterproof rubber and durable textile for optimal wet-weather protection. Available Colors: BLACK, NAVY/TAN. Sizes: 6, 7, 8, 9, 10, 11.